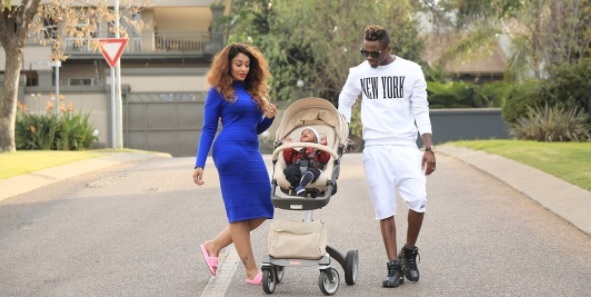 Instagram was on Monday hit with a serious fight between Zari and her baby daddy Diamond Platnumz. 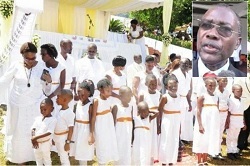 The two were exchanging serious swahili words that left many folks in Uganda seeking services of translators to establish what was going on with the power couple. 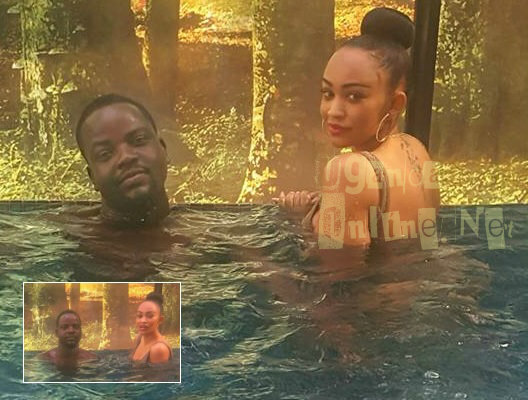 On Sunday, Zari went to her ex-hubby's top hang out spa where she bumped into Edwin Lutaya, a cousin to Ivan Semwanga. The two hit the hot tub together as the wife to Edwin took pics that eventually found their way on the net. The pic got to Platnumz who was quick to interprete it the way he did. Edwin's left arm was surfing Zari's lower body. He quickly shared the circled pic saying why he will not be loyal and will only hit and run. Zari tried to explain but the Bongo Flava star was not taking any of that. 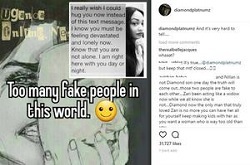 Zari's other relatives including her sisters had to calm Platnumz down with proof that, the guy in the pic is a cousin, so there should be no cause of alarm. Platnumz was not convinced so Edwin was forced to make a recording explaining himself. He was also warned that the recording has to be in English. "I'm God fearing, I did not know that those pics could go viral. Ivan is my brother, I never meant to offend you neither did I touch the way it's alleged. That picture was taken in decency. Deep down in my heart, I have no intention of hitting my in-law. I respect you and will never come in between you and Zari." 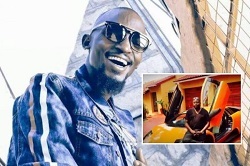 Platnumz was further told of how Edwin was part of the New Chapter Africa (NCA), a gospel singing group of three Ugandans based in South Africa. Jimo, Antonio and Edwin are the NCA members. It turned out that Edwin was actually in Kampala for the burial of Ivan Semwanga. It took such efforts to convince Platnumz and shortly after that, he pulled down the post. Moments later, the two resorted to hood wink posts to try and massage the situation at hand. Before the above explanation was made to Platnumz, many responded to the issue and one made this observation. "If Platnumz can be upset by such, he is in for a real show because that was nothing compared to what Ivan went through and still did not react the way Platnumz did and yet he was worse. 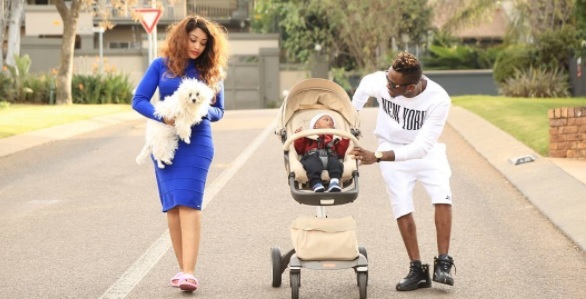 Zari was not touched which is the thing you are complaining about, but you touched Zari in form of your East African Project and a baby girl was the end result, less than eight months later, a baby boy, RIP Ivan." This is the pic Zari put on her wall after deleting the spa pics where she explained herself..